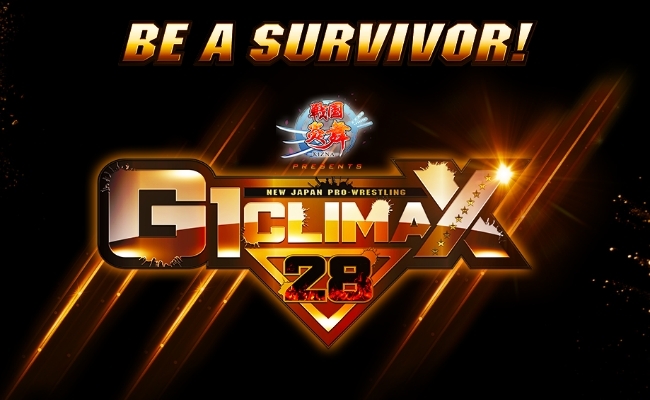 With the first G1 Climax 2018 card set to start early Saturday morning, anticipation is mounting for New Japan fans who expect nothing more than some of the best wrestling they’ll see all year. This article aims to serve as a primer for this year's tournament, and will get you ready for what is going on for the next month or so in New Japan Pro Wrestling. Be sure to check out written reports over the next few weeks for the latest scores, as well as coverage on our various radio programs. Also be sure to check out Adam & Mike’s Big Audio Nightmare, which has an audio rundown of this year’s tournament along with predictions! What is the G1? What does G1 stand for? The Grade 1 Climax tournament is held every year with a varying number of wrestlers competing to win, usually around 20. Each wrestler is put in one of two blocks and must wrestle everyone in that block. The two people with the most points in their respective blocks will face off in the finals to determine the winner of the tournament. When does it start, or end for that matter? Just how many shows are there? This year’s G1 starts on July 14 at 5:30 a.m. Eastern time, with the final show airing on August 12 at 5:00 a.m. ET (for other time zones, check here for a time conversion). Altogether, there will be 19 total shows airing throughout July and August. Yes. For the first time ever, all 19 events will have English commentary by Kevin Kelly, with Don Callis joining in occasionally. Additionally, the big bouts on these shows will be covered in the near future on NJPW's AXS TV time slot, with Jim Ross and Josh Barnett on commentary. I've heard about New Japan World but have no idea how to use it. How do I sign up for it and how do I navigate the site? On the top of the site, you’ll see an option to select a language. Pick English, then go back to the top and you’ll be able to see a place where you can login or sign up. Click on the latter. From here, it should be relatively straightforward. Fill in the information and your preferred billing method and you should be fine from there. NJPW World accepts most credit cards and PayPal as payment options. These shows are VERY early in the morning. When do these pop up on demand? Shortly after the show ends. If not, they will more than likely be posted later that day. Wait, so are people going to wrestle on all 19 of these shows? Like it has been for the past few years, these shows won’t exclusively feature block matches. For each event until the finals, there will be five tournament matches (with the blocks rotating each show) on a card. The rest of the card will mostly consist of multi-man tag team matches that will be designed to hype up the next series of tournament bouts. Whoever wins a match is given two points. If a match ends in a draw, it’s one point each. A loss gets you zero points. Say that at the end of a tournament two guys in the same block are tied for the most points. What happens then? Whoever won the match between the two earlier in the tournament gets the tiebreaker and advances to the finals. They will receive a briefcase, which inside will have an IWGP Heavyweight Championship match contract for the Wrestle Kingdom Tokyo Dome show on January 4. Winners tend to defend the briefcase a couple of times, usually against people that beat them during the tournament. So if the winner gets an IWGP title shot, why is the IWGP Heavyweight Champion in the tournament? It’s the norm for the champion at the time to compete in the G1. Any losses the champion might receive during the tournament can very well set up future title matches. But, if they win, it clearly demonstrates how dominant they are as champion. An IWGP Heavyweight Champion doesn't often win the tournament, but it has happened in the past. Kensuke Sasaki and Keiji Mutoh have both won while holding the title. Masahiro Chono, also known as “Mr. August,” has won the tournament on five different occasions since its inception in 1991. Ok, so to put it bluntly, what makes the G1 so special? It’s one of the best tournaments you’ll see all year. Everyone always has their working boots on, going to the limit in what they can do. For the younger guys, the goal is to prove they can hang with the more established members of the NJPW roster. The same thing goes for the older generation who don’t get the big title shots anymore but can still prove their value by competing on a big stage. The tournament also features big matches you won’t see anywhere else in New Japan all year. Stablemates go up against one another, like SANADA vs. Tetsuya Naito or Kazuchika Okada vs. Jay White. We’ll also see rematches of classic bouts, like Kenny Omega vs. Kota Ibushi and Hiroshi Tanahashi vs. Okada. The G1 has continually built up its prestige over the last few years as one of the premier tournaments in pro wrestling. That doesn’t automatically mean that this will be a great tournament, but enough goodwill has been established for it to be very promising. Togi Makabe: He's seen better days, but Makabe is still a great brawler and is arguably one of the more popular members of the NJPW roster. Expect stiff bouts against the likes of Michael Elgin, Bad Luck Fale, and Minoru Suzuki. Michael Elgin: Elgin is still reeling after having a short run as NEVER Openweight Champion. A good effort in the G1 could go pretty far for him. Kazuchika Okada: Coming off one of the most impressive title runs in pro wrestling history, Okada is at a crossroads. This tournament represents the next stage of his career, and where he’ll go from here will be based on his performance. A lot is on the line for him. Jay White: Still trying to find his way in CHAOS, White isn’t too happy after losing the IWGP United States Heavyweight title to Juice Robinson at the G1 Special in San Francisco. He looks to make up for it by going far in his first-ever G1 Climax tournament. YOSHI-HASHI: Perhaps the most underrated member of CHAOS, YOSHI-HASHI has a chance to prove himself against the likes of fellow stablemates White and Okada. He has some big tasks ahead of him, but you never know when he’ll pick up a win. Bad Luck Fale: There are a lot of questions regarding Fale in this year's G1 tournament. Tama Tonga has said that he’s part of the new Firing Squad faction within the Bullet Club. How will he react when he faces Hangman Page? He always does well early on, so expect him to start racking up wins quickly. Hangman Page: Although he is currently battling his own inner self over the supposed "death" of Joey Ryan on Being the Elite, Page has a real shot at standing out in his first G1 Climax. This is his proving ground. EVIL: Having just lost the IWGP Tag Team titles, EVIL looks to gain some momentum by competing in this year’s tournament. His match with Okada will be one to watch if their feud last year was an indication of anything. Minoru Suzuki: Leader of Suzuki-gun and fresh off his 30th anniversary show, Suzuki looks to cement his legacy by winning the G1 Climax tournament for the first time. Kenny Omega: The IWGP Heavyweight Champion looks to continue his insane amount of momentum by picking up another accolade: winning the G1 for a second time. What will it be like when he and Ibushi square off for the first time in years? Fans (and the entire internet) will wait with baited breath when these two clash. Tetsuya Naito: The leader of Los Ingobernables de Japon, Naito looks to gain ground after losing the IWGP Intercontinental title to Chris Jericho. His bout against fellow teammate SANADA will be one to watch. Kota Ibushi: The other half of the Golden Lovers, Ibushi loves to follow the beat of his own drum. That usually results in some just plain crazy high spots, including jumping off balconies. But potential matches with the likes of Tomohiro Ishii and Naito are sure to be some of the greatest matches of the tour. Zack Sabre Jr.: This year’s New Japan Cup winner looks to rebound after failing to dethrone Okada earlier this year. A finals win would give him another crack at the title. Hirooki Goto: Always the bridesmaid and never the bride, NEVER Openweight Champion Goto is an excellent worker. The problem with him is that he never captures “the big one.” Is this year different? Well, probably not, but he’ll have good matches. SANADA: SANADA is also coming back after losing the Tag Team titles to The Young Bucks at Dominion. As someone who’s pegged for stardom, SANADA is always someone to watch in a tournament such as this. One question that is on everyone’s mind: how will he fare against stablemate Naito? Juice Robinson: The new IWGP United States Champion is riding a wave of momentum after beating Jay White at the G1 Special last weekend. Scoring wins over Naito, Omega or Ibushi would up his cred even more. Tomohiro Ishii: The Stone Pitbull lives up to his name, giving it his all in every match he’s in. He’ll certainly have great matches, but how long will his body be able to stand all the punishment? We’ll have to see based on how many bandages he's sporting by the time of the finals. Tama Tonga: Just a week ago, Tonga would have been just another Bullet Club performer in the G1. But after splitting from the Bullet Club and forming the Firing Squad, he looks to step it up a level in this year’s tournament. Watch out for his match against Omega, as fireworks are sure to go off. Toru Yano: The notorious trickster of NJPW, Yano will do absolutely anything to get a win, including ref bumps, turnbuckle shots, and low blows. Yano always squeaks by with an upset in at least one or two of these matches, so be ready for a surprise! So who's facing who on what day? Check here for a list of full cards, including non-tournament matches. Keep in mind the card for the finals won't be revealed until the day before at the earliest. I don't think so, but again, hit me up on Twitter and I’ll be happy to answer! I’ll just reiterate what I said earlier: if you aren’t a fan of the Japanese style of pro wrestling, this is still worth a look because of all the different types of matches you’ll be seeing in the tournament. There's bound to be something that you'll enjoy. For 999 yen (under $10) a month, I feel this is worth the time and investment to get into. Give this a shot, especially if you grow bored of what’s going on with WWE or other companies.